Many travelers come to Nepal for Yoga, meditation, astrology, retreats and to merge with the mighty Himalayas so that Yoga and Meditation in Nepal is popular for mind refreshing programs. Nepal conducts the Yoga and Meditation program for those people who want to be efficient and strong from the mind in their professional field, life-style, daily activities, by balancing in their heart and mind. Actually those people who are advanced in physical facilities, most of them are far from cultural/spiritual (inner) values. This crux of problems needs to solve by attaining Yoga and Meditation course in Nepal. 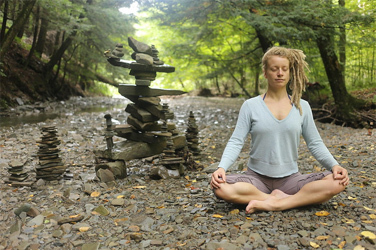 Who will take Yoga and meditation package they achieve maximum satisfaction under the model, required satisfaction through the spirituality from the Vedic philosophy of Yoga, Buddhism and other types of Meditation, Naturopathy, Yoga, Meditation, Herbal medicine all are suggests us "back to nature" for protecting the properties of future generation. Yoga and meditation program is beneficial for rich materialistic world that makes the people more busy life without any direction. Yoga and meditation trip will be short and longer as your request but below given itineraries are more people used in previous.